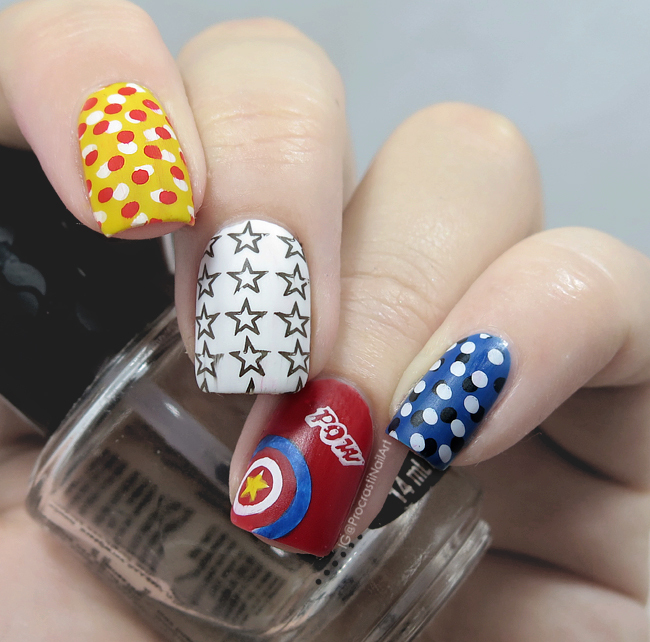 Today's mani is my second look for DD's week of 'Story Genres' and this time I went with some comic book / superhero nails. That's a genre, right? It is for me, shhh! Haha. And before you say it, yes I know the Captain America shield is the wrong colours - I wanted more the general vibe of superheroes rather than a direct copy of the shield imaging. And I really like how it turned out! I wanted to go with a primary colour look for this one, to inspire the idea of traditional brightly coloured comic books. 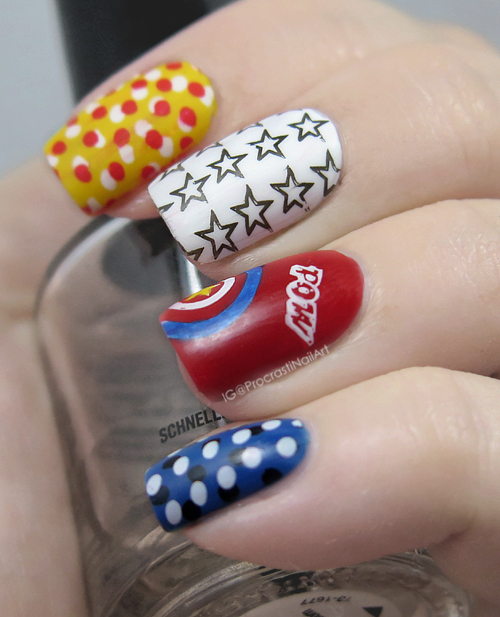 :) For the stamping I used plate Cheeky CH47, XY-Z01, and BP-27. One thing I really gotta say I learned? Stamping dots is so much easier than trying to get them lined up and sized properly with a dotting tool! That's definitely a trick I'll be using more in the future. Make sure to check out all the other awesome looks from the DD ladies below before you go, and then let me know what you think! I really love these. They are a perfect comic book representation. These are SO cute and perfect! The colours you used are perfect as well! I've never tried stamping dots before. This might work better for me. 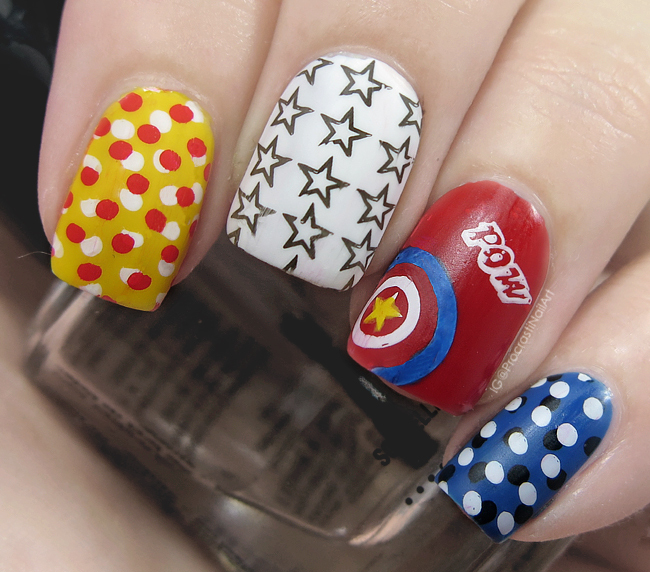 Love your mani! YES! I'm all for anything comic/super hero!